In Syria since the 1980s, where he established an Islamo-Christian monastic community, Fr. 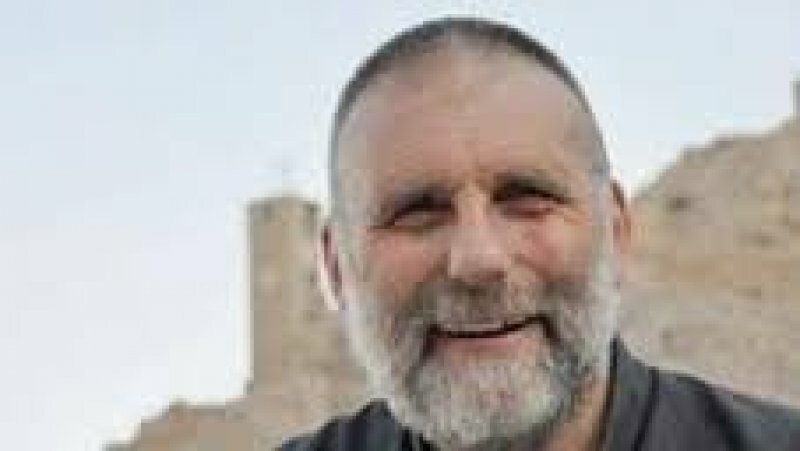 Paolo dall'Oglio had been expelled by Assad in 2012. He returned occasionally to rebel-controlled Syria where he had friends. News still being verified. The country is in chaos and few see "any light at the end of the tunnel." Damascus (AsiaNews) - Shock, surprise and caution abound in the Vatican Nunciature in Damascus following reports - yet to be confirmed - of the kidnapping of the Jesuit Fr. Paolo dall'Oglio (see photo). "Usually, when he is in Syria, we speak over the phone - Nuncio Msgr. Mario Zenari tells AsiaNews. "So far I haven't heard from him at all. I only learned the news this morning and I am shocked. We will have to wait to see if it is true" . The Italian Foreign Ministry is also checking the news. According to some agencies, Fr. Paolo entered Syria through the north, in an area controlled by the rebels and was kidnapped in Raqqa, by fundamentalist groups, part of the group for the Islamic State of Iraq and the Levant, enemies of Assad. "I'm surprised - adds the nuncio - that this happened to him. He is known in those areas, and enjoys some respect in rebel held areas." Since 1982, the Roman born Jesuit of 58 has worked for the restoration of Catholic monastery Mar Musa (Monastery of Saint Moses the Abyssinian), in the desert north of the Syrian capital, establishing a monastic community open to dialogue with Islam . At the outbreak of the so-called "Arab Spring" in Damascus, Fr. Dall'Oglio took a position that was critical of the Assad regime and so, in 2011, Damascus decreed his expulsion, which took place later in 2012. Since leaving the Country, Fr. Dall'Oglio has often returned to the north controlled by the Syrian rebels. Archbishop Zenari pushes for caution: "Here in Syria news has often been reported that has later been proven false or inaccurate, such as the reports of three monks having been beheaded, they were not monks, or reports of the release of the two Orthodox bishops, also proven false." "In the end - said the nuncio - nothing really surprises us anymore here in Syria, given the chaos that reigns. Earlier the situation was clear enough, but now is very complicated and the conflict has become incredibly interwoven. What is really shocking is the suffering of the poor, human rights violations. We must try to understand the intentions of all parties involved, how they move, who is behind what, who is most in the right and who in the wrong and what their main aim is. This is an immense task, and in the meantime the country is falling apart and we can no longer see a light at the end of the tunnel. "